The Compania Complete Mente Solta (English: “the spirit set free“) from Rio de Janeiro has been developing Shakespeare writings for several years now and connects the characters with the daily life of young people in the favelas in Rio. 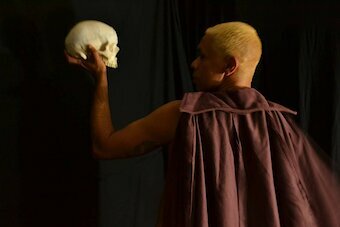 In his new project, “Trans Hamlet Formation“, the director of the company and the play, Márcio Januário, wants to portray Hamlet's story in a Latin-American context. The action takes place in the kingdom of Elsinore, Denmark and at a fringe community at Rio de Janeiro, Brazil. The action also takes place at a rehearsal room where five actors are working on an assembly of Hamlet, the William Shakespeare classic. 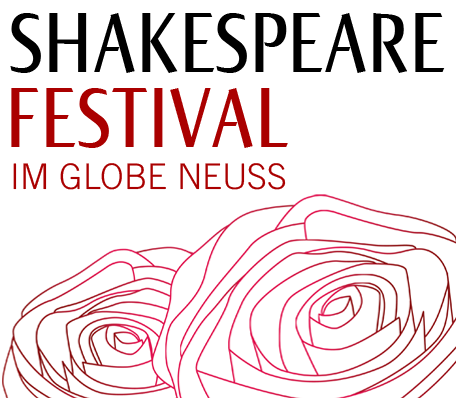 In Elsinore, prince Hamlet deals with the recent death of his father, king Hamlet, and the fact that Gertrude, his mother, is marrying his uncle, the king's brother Claudius. In Rio, the people in the favela are dealing with everyday issues, such as drug trafficking, urban violence, sexism and the distance created by social classes among people who live so close from each other. In the rehearsal room, the actors are critically discussing the characters and situations of the play and making connections among them and their life in Rio. Advised by what appears to be the ghost of his father but may also be a sign of his supposed madness, prince Hamlet plays dangerously with the court of Elsinore with the goal of avenging the king's death, which he believes is to blame on a plan concocted by Claudius and Gertrude. In the trail of his vacillating revenge, Hamlet harasses his mother and the young Ophelia (who's in love with him) and casts death on many people from the Elsinore court. In the rehearsal room in Rio, the actors question prince Hamlet's heroism and the positions of the main characters in the play. They reflect upon staging it or not. But they reach the conclusion that they can do Hamlet in their own way. And if they don't, when will black people in Brazil have the chance of playing protagonists? They cannot accept a present where so much violence and death is such a common thing in the life of black and poor people. They have to do something about it. They have to stage this play.